Norman Walter Johnson 90, passed away on Saturday, August 25, 2018. He was born July 4, 1928 to William Norval and Effie Evelyn Johnson in the Rail Road Hospital at Lynndyl, Utah. He always boasted that all of America celebrated his birthday! Growing up in the Delta area, he loved the outdoors and could always be found fishing or hunting. He was kind, soft spoken and an obedient son. He served a mission in Canada. He served his country with an honorable release where he had many experiences that helped him grow to manhood and which magnified his love for country and freedom. Patriotic songs held a tender spot in his heart. When his first marriage ended in divorce, he was introduced to Lillian Williams who had just moved to St. George with four children……three of them were teenagers! Who would ever take this on? Norman did! He filled a lonely part in Lillian’s life and was an answer to her prayers. They had only been married a short time when he was diagnosed with a football size tumor attached to his kidney. After 6 surgeries in 6 months, he fully recovered as he attests this to be a divine miracle. He was a man of great faith and loved his Heavenly Father and brother Jesus Christ. 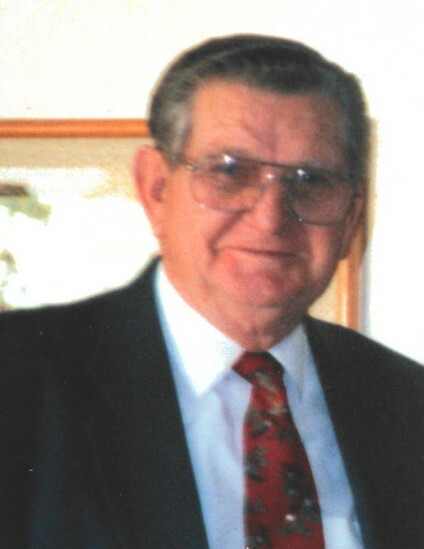 Norman worked for Larkin Mortuary in SLC and upon moving to St. George got a job at Terracor in getting Bloomington settled and then as a janitor for the Church of Jesus Christ of Latter Day Saints until he retired. Norman and Lillian took care of their mothers and upon their passing received a mission call to the Gunnison Prison where they were an instrument in the lives of many in getting ‘their boys’ on the right track to successful futures. This was the high-light of their lives as they developed relationships that will stretch into eternity. Norman will be remembered for his quick wit, his bird calls, his Johnson blood and Fox News. Norman was preceeded in death by his parents and three sisters, a step son, Kenny Williams and his wife Lillian only 3 months earlier on June 1, 2018. From then on Norman went downhill fast missing his true love. Surviving step children include Wendy Sandberg (Bob), Karen Dowd (Larry), Larry Williams (Alyce), Chrissy Williams and Penny Williams. Arrangements have been made through McMillan Mortuary for a graveside service to be held Saturday, September 1, 2018 at 10:00 AM at the St. George Cemetery. In lieu of flowers, Norman wishes all who can to contribute to the Missionary Fund in which he found his greatest joy. The family wishes to express their appreciation to Beehive Homes and SunTree Hospice for their loving care in Norman’s last days.